as a deputy for Tulsa County Sheriff's Office from June 2007 to November 2011, according to KOKI-TV. She resigned from her position to join the Tulsa department. According to the news station, Shelby wrote in her resignation letter she would be "honored and grateful" to work for the sheriff's office in the future. 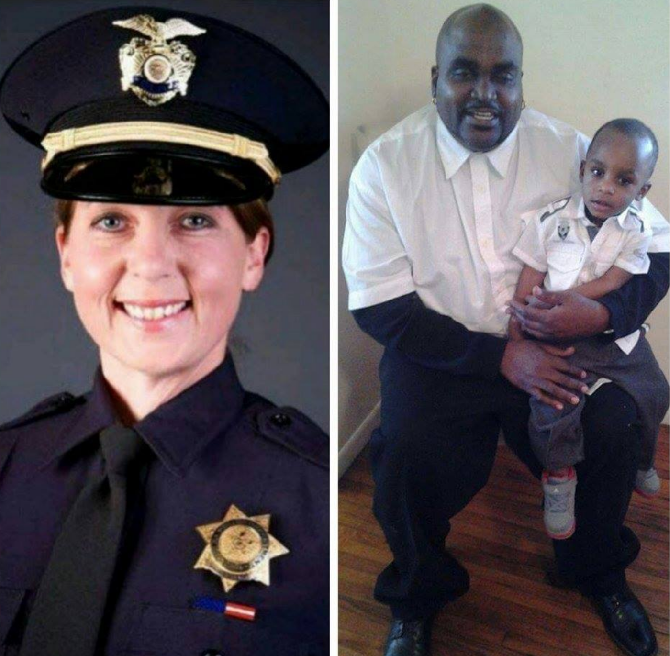 The Crutcher family wants the officer who fired the fatal shot charged. The shooting is still under investigation, including by the U.S. Department of Justice. "We're demanding today, immediately, that charges are pressed against this officer, that was incompetent, that took my brother's life," said Tiffany Crutcher. "We just want justice. Because I want everyone to know that that big bad dude? His life matter. His life mattered. And the chain breaks here. We're going to stop it right here. In Tulsa, Oklahoma, this is bigger than us here. We're going to stop it right here."